Don’t confuse Wilmington Delaware, with its namesake, Wilmington North Carolina! This city, while smaller than the one in NC, is the largest city in the tiny state of DE. Because of its location as a border state during the Civil War, there was a tremendous demand for the goods and materials supplied by Wilmington’s industries. 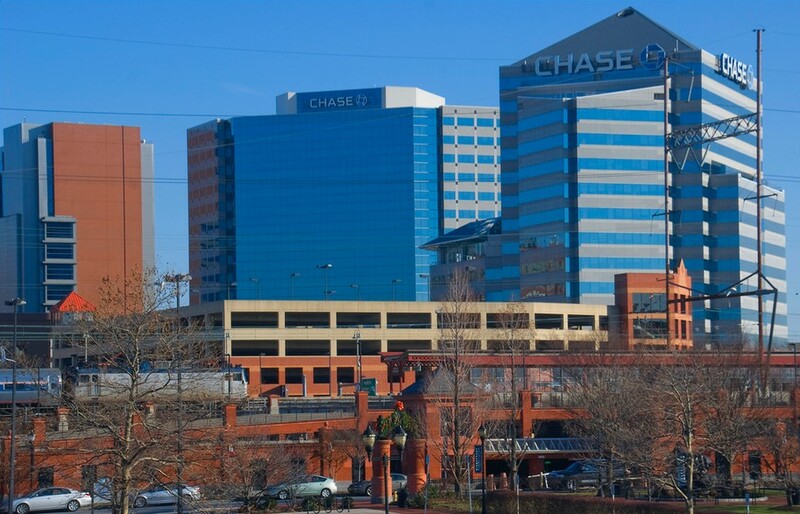 Wilmington is a national financial center for the credit card industry, and many major credit card issuers have their headquarters here. As such, a thriving business population includes many who are interested in fitness, so there’s a lot of opportunity for Pro-Bond Mirror. What Makes Gym Mirrors Professional Installation Beneficial? Mirrors are present in every gym. People glance at the mirrors to determine whether they have made a progress in their workout plan or not. Individuals exercise in front of a mirror so they can see how they work out their muscles Moreover, looking at the mirror while doing a particular workout routine is an excellent way to find out whether it is carried out properly. In gyms, mirrors are larger so gym members can view their whole body as they workout. In order to that the mirrors are excellent for workout sessions and are of top quality, owners hire Gym Mirrors Professional Installation Services. Some mirrors are distorted, which cause the actual height and size of the body altered. They are not recommended for gym use because they give an illusion of making progress. For his reason, getting a professional mirror installer is necessary because they can recommend the ideal type of gym mirrors. Aside from installing, these service providers also provide various high quality mirrors to their client so the latter won’t have to look for a reliable source. There are different sizes of gyms so each of them must be installed with the right mirror size. Providers of Gym Mirrors Professional Installation can help cater the needs of their clients when it comes to mirror size. In order to find the right fit to the wall, clients can order custom-made designs. The most obvious reason why hiring professionals is important is they have the skill and knowledge in their respective fields. Fragile objects like mirrors must be well secured and stored. This can be guaranteed if one has the assistance of professional mirror installation technicians. Things to Know About Gym Mirror Installation? As mentioned, gym mirrors must not only be of high quality but also installed onto the wall surface securely and evenly. This can be attained by considering factors such as manufacturer’s ISO certification, cutting tolerance, and quality standards. The defects on glass mirrors are unavoidable, but manufacturers can do something to minimize the flaws’ visibility. This quality standard is regulated by authorities such as the Glass and Glazing Federation. During gym mirror installation, a professional will hang a mirror on o wall. The process requires materials that links the mirror and the wall with resilience and strength. Mirror installation companies usually uses adhesives, screws, and J channels in this process. When install the mirror with adhesive, make sure the wall is non-porous and clean. During the installation, the technicians will hold the mirror while the adhesive is just starting to take effect. The mirror must be established evenly and properly until the solution hardens. Another hanging option is J channels, which act as a support of the gym mirror. These channels are usually made of aluminum and are strategically drilled into the walls so that the mirror can fit well onto it, thus providing a professional finish. Imperfectly flat walls are typically installed with J-channels. Aside from that, they can be installed quickly and are cost-effective. Screws use the same process of drilling holes on walls. In order to make the installation result aesthetically pleasing, installers use chrome cap screws. Unlike adhesives, this hanging option allows the owner to get the mirror moved in the future. Those who will choose either screws or J-channels must coordinate with Gym Mirrors Professional Installation companies to get their wall’s integrity checked. They do this to ensure that back jobs won’t happen. People have varying preferences on how their gym mirror should look on their wall. Some may like their wall to be covered with mirrors while others like to leave some space on the edges of the wall. Whatever the choice, one must still consult a professional if his or her plan is advised. For instance, if the gym will involve yoga sessions, an installation company may install the mirror close to the floor.